Let’s be honest, we’re not very good at keeping secrets here at The Urban List. If we stumble upon a hidden eatery doing cool stuff, chances are we’re going to sing it from the rooftops. Sorry, not sorry. So, when we heard rumours of a secret café doing delicious stuff in Royal Oak, we took it upon ourselves to investigate—it’s a tough gig but someone’s gotta do it. 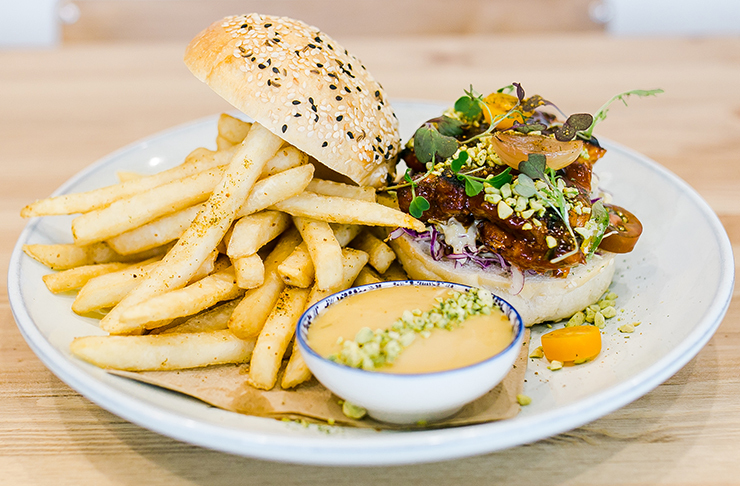 Tucked away on the upper level of Royal Oak Shopping Mall, we discovered delightful Auckland newcomer Oak Eatery. Let’s be honest, the best days start with pancakes. Oak Eatery will set you on the path for the best day everrr with their coconut pancakes. They’re served just the way we like them: light and fluffy with a slight crunch on the outside. Showcasing a subtle (and delicious) coconut flavour, they’re served with seasonal fruit, honeycomb and cinnamon-infused cream. Trust us when we say: you’ll go (coco)nuts for these pancakes! If you prefer more of a savoury breakfast, Oak Eatery has your back. Choose from the likes of chipotle eggs bene, smoked salmon hash, a mega big breakfast or—our fave—the unmissable omelette. It stars with ALL the trimmings: ham, grilled tomato, shiitake mushroom and pickles—what a combo! Topped with Parmesan cheese and pesto, this beast of an omelette is one divine brekkie. There’s also an abundance of lunch-esque dishes up for grabs with hints of Auckland’s much-loved Asian fusion trend. We’re talking pork belly with Korean chilli jam, ginger tofu with ponzu dressing and the ultimate star of the show… the bulgogi beef burger! The mammoth burger is stacked with fried kimchi, cheese and micro greens. Like every good burger, you also get a side of fries served with lip-smacking house-made mayo. Oak Eatery keeps punters well caffeinated with everything from flat whites and cappuccinos to a piccolo lattes and mochas. There are also iced coffees, juices and an extensive range of teas. Cool down on a hot summer’s day with one of their refreshing smoothies. Available in a range of vibrant colours, we can’t go past ‘the red’ with beets, pineapple, blueberries and ginger. Summer doesn’t taste much better than this. 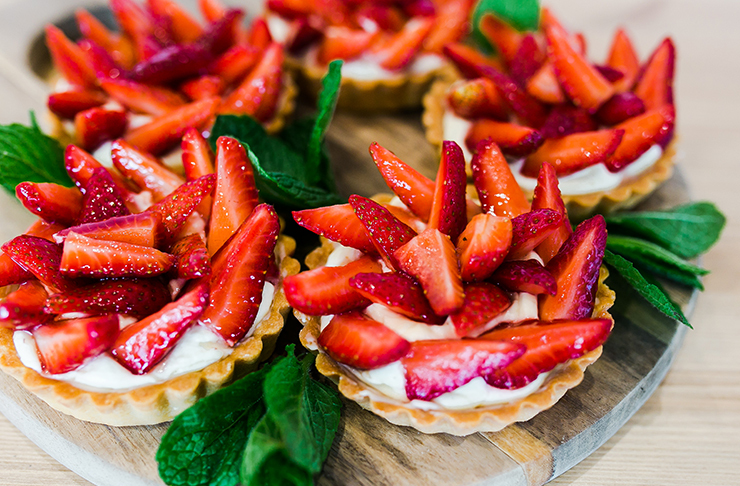 Trust us when we say: no visit to Oak Eatery is complete without a sweet treat (or two). The café’s cabinet is brimming with irresistible delights—each one as decadent of the next. Choose between sugar-dusted doughnuts injected with cream, chocolate peanut butter mini-cakes (!) and New York cheesecake topped with roasted macadamia and caramel. Rest assured, your dietary requirements are NBD—many of these are gluten, dairy and refined sugar-free. Scout out the secret gem to discover the deliciousness for yourself. For more details, including opening hours, click here. Editor’s note: This article is proudly sponsored by Oak Eatery and endorsed by The Urban List. Thank you for supporting the sponsors who make The Urban List possible. Click here for more information on our editorial policy. Video credit: Pure Productions. Image credit: Lydia Arnold.